There is a time when weight, color, price, aerodynamics and good looks probably should not matter. Yes, I know these are too often the 5 golden rules of buying any new cycling gear, but when it comes to a bike helmet we really should buy responsibly. When it comes to protecting our precious brains, many of us would pay top dollar to ensure our ability to take care of our family, rather than our family taking care of us. But what if even our big bucks could not buy what we need to protect our most valuable asset. That's right, money can't buy happiness and money can't always buy safety. Turns out that bike helmet we strap to our skull before our jolly bike ride is not good enough. The basic setup (a thin plastic shell over a thick foam liner) hasn't changed much since the first [bike helmet] was sold in 1975. By 1999 half of all riders were wearing [bike helmets]—up from just 18 percent eight years earlier. Recent studies of football and hockey players­ have raised alarming questions about the disabling short- and long-term effects of concussions. Bicycle-helmet standards were first developed in the 1950s by the Snell Memorial Foundation in Sacramento, California. Though the standards were voluntary [in the 1980s], most major helmet ­companies adhered to at least one set (ASTM, ANSI, and Snell). The certifying authority. That would be the Consumer Product Safety Commission. The federal agency sets out minimum standards to protect consumers against shoddy helmets. Standards set by the CPSC demand that helmets perform—that is, hold up through the 6-foot drop test (straight 90-degree impact)—at room temperature and in a variety of extreme conditions. Helmet experts call it "slowing the blow," By crushing and cracking, the inner EPS liner attenuates impact energy—that is, it extends the hit over a longer period of time. Six milliseconds, say, instead of two. "A lot of the innovation in helmets has been focused on making them lighter, more ventilated, and fit better," said John Thompson, bike helmet product manager for Scott Sports. Patients who arrived at ERs in seven Seattle-area hospitals after bicycle-related­ accidents. In that second study, 63 percent of all head-injured cyclists over the age of 39 wore helmets at the time of the crash. In 1994 when Congress mandated that all bike helmets­ sold in the United States meet minimum safety standards set by the CPSC ... ultimately­ enacted a rule that was essentially a hybrid of the existing ANSI, Snell, and ASTM standards. If you crash and hit your head, there are two types of impacts. One is known as linear acceleration. The second type is known as rotational acceleration —the technical term is inertial spin—which creates shear strain. There are other factors involved, but research has consistently pointed to rotational acceleration as the biggest single factor in a concussion's severity. The CPSC helmet benchmark is based solely on linear acceleration. (We knew this a long time ago) In 1962, a team of Michigan State University researchers presented a study at the American ­College of Sports Medicine's annual convention. "It is fairly well established that the extent of skull fracture and severity of concussion are not closely related," they said. Further research, they added, should focus on "developing headgear which would ­provide greater protection from brain concussion." ...the data led the UCLA researchers to implore the medical community to "discard the magical notion that wearing a helmet on the head is sufficient to protect against impact brain damage." "Little has changed in helmet-safety design during the past 30 years." "If a bicyclist is getting more than one or two concussions a year," he added, "he really needs to take up another activity." "A lot of people think that because people sometimes suffer concussions while wearing helmets, that the ­helmet didn't do its job,"
The problem lies in the way the head is attached to the body. When a rider falls, he said, "the head rotates like the end of a flyswatter, and the shear strain is high enough to break axons in the brain." By 2008, after years of sketching, testing, and prototyping, they (the Swedish team) had a working ­model. Their MIPS (Multi-directional Impact ­Protection System) helmet contained a ­low-friction slip plate between the head and EPS liner. On impact, the helmet rotates independent of the MIPS liner, absorbing some rotational acceleration. As the MIPS engineers fine-tuned their system, a group of inventors in Portland, Oregon, also attacked the problem. Bottlang and Madey hit upon a potential solution: They built an aluminum honeycomb liner with ultrathin cell walls that replaces the EPS liner, the prototype AIM (Angular Impact Mitigation) helmet. "We'd created a situation where good protection was available but no one gave a damn about it because you didn't need it to pass certification." But their customers—from top pros to weekenders—haven't been clamoring­ for safer helmets, and the unchanging CPSC standards helped to ensure they were never offered one. He has to convince customers that a MIPS-equipped helmet is safer, despite the fact that all helmets pass the same safety test. In late 2012, a third team jumped in. 6D, "It's suspension for your brain," "We're making a helmet to protect riders long-term." The new rotation-­dampening systems may not be perfect, but they are the biggest step forward in decades. The choices cyclists make with their money matter. 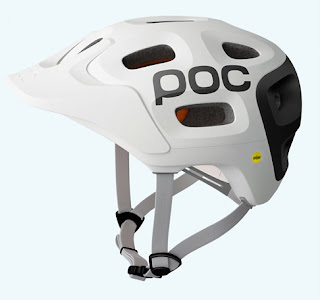 In the future look for products coming from POC, Scott, Abus, Easton-Bell, and Giro. Every so often do a Google search for a MIPS or AIM bike helmet, and the day you get a result - BUY BUY BUY. Snowboarders already have a MIPS helmet. Motorcyclists do too. Mountain bikers, Road bikers, and equestrian athletes all gain to benefit in the future from better helmets for their specific sport. Meanwhile, all us cyclists are out here waiting, sporting anything that first and foremost fits us, and secondly matches with our bike or our favorite jersey, and of course is lightweight, a nice color, aerodynamic and good looking. Not so perfect consumer sense. The pro peloton is right there with us, they are told which helmet to wear by their team helmet sponsor. Last year when the Giro Air Attack helmet showed up on the heads of the Garmin-Sharp and Rabobank teams at the Tour de France, and then this year when Mark Cavendish donned his Specialized Prevail helmet, the helmets caught on so fast consumer cyclists scooped them up. If only Mark Cavendish would sprint in a new MIPS helmet, we would all be better for it. What kit and helmet am I wearing in 2013? What would I like to be wearing in 2014 - Castelli clothing and a MIPS equipped helmet please!